Tennessee Rhodesian Ridgeback Rescue View other Rhodesian Ridgebacks for adoption. ADOPTION PENDING; Owner surrender. They raised inside since 8 weeks old. Now they say they travel too much to keep him. This is a VERY smart dog, If you want a dog to be your companion, friend, traveling buddy, and you want to actually share your life with, this is the dog. He trys to talk to us, he will look you in the eyes and wants to please. He is good inside and has not gone potty inside. He is awesome. Vet thinks he is a mastiff/Ridgeback with possibly boxer, but has the coloring and a ridge on the spine that is darker in color, pronounced, and will stand up sometimes like a Ridgeback, and his head shape, and profile is Boxer Mastif. He is 22 months old born May 2017. Sweet, gets along with all other dogs here. Happy go lucky attitude. 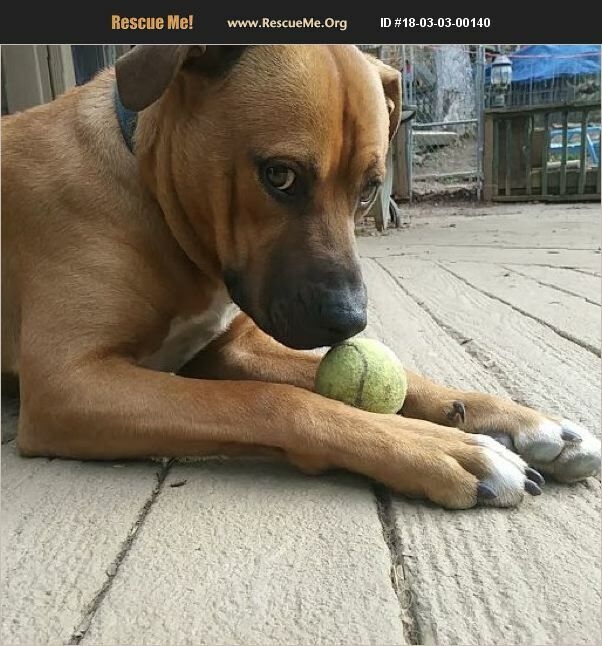 He is crate trained and house trained, loves to play outside and is very affectionate. Will sometimes chase the cat, but has not hurt one.Very short hair and needs very little grooming. Up to date on all shots and neutered. About 65-70 pounds. Amazing eyes. Can sit on command, sometimes even stay (for a minute) loves to play ball. Very handsome dog. Great eye contact, and loves to please. Definitely BFF capability! IF you are lonely, want a buddy to hang out with, go for a ride with, play outside with,he would be amazing as your BFF. If you are a couple that hikes, he would be a great dog for that lifestyle, as he is very well-rounded. He can go from couch potato to jogging buddy, to ball player teammate, to road trip shotgun rider in a flash. WARNING: IF you are an ugly human...he will be much better lookin than you..the chicks all dig him....No guarantees on the breed mix, with rescue, it is always a guess.